We are amongst the most reputed names in the industry, offering Nerium Indicum. 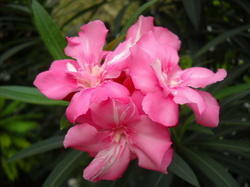 Suppliers of Nerium Oleander (Arali) in both fresh and dried flowers in bulk quantity. We are a top-notch organization, engaged in providing Nerium Indicum. We are a top notch supplier of Nerium Indicum. 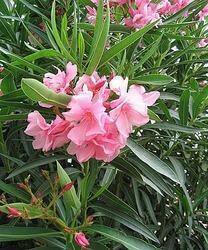 Thevetia peruviana is an evergreen tropical shrub or small tree. Its leaves are willow-like, linear-lanceolate, and glossy green in colour. They are covered in waxy coating to reduce water loss. Its stem is green turning silver/gray as it ages. Banking on our enriched industry experience, we are able to supply Nerium Indicum. In order to meet excellent quality standards, we are supplying Nerium Indicum.